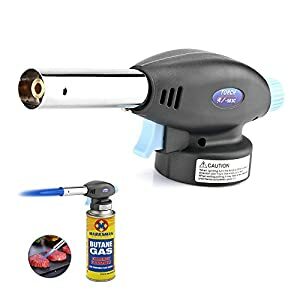 1.Please fill with butane gas first，wait a few minutes for the internal gas to stabilize. 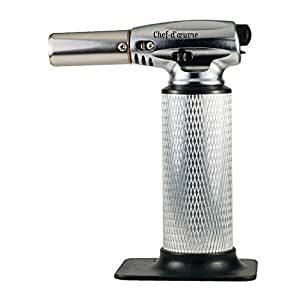 2.Do not touch the flame outlet during use or just after use to avoid burns. 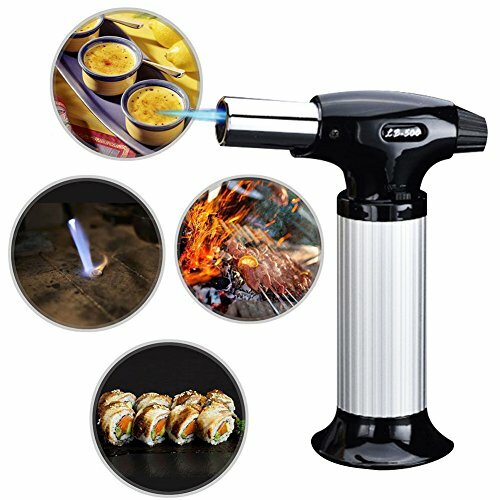 3.Keep away from flammable and explosive materials when using. 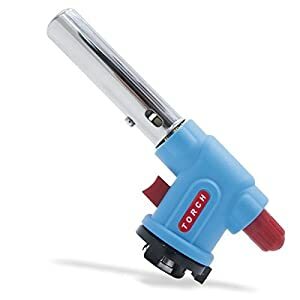 4.After use, wait for the fire vent to cool before it can be stored. 6.Pay attention to the direction of use, and do not aim at people, animals, or flammable materials. 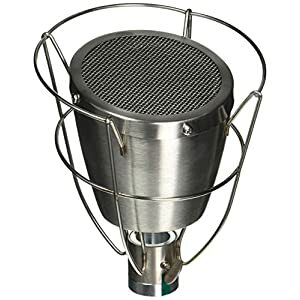 7.Use in a ventilated environment. 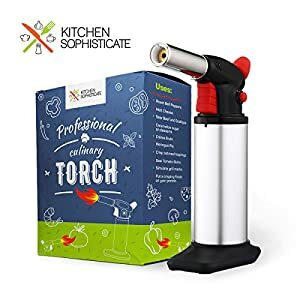 8.Do not leave it in a hot environment for long periods of time (50°C/122°F)，next to the stove，boot or long time direct sunlight. 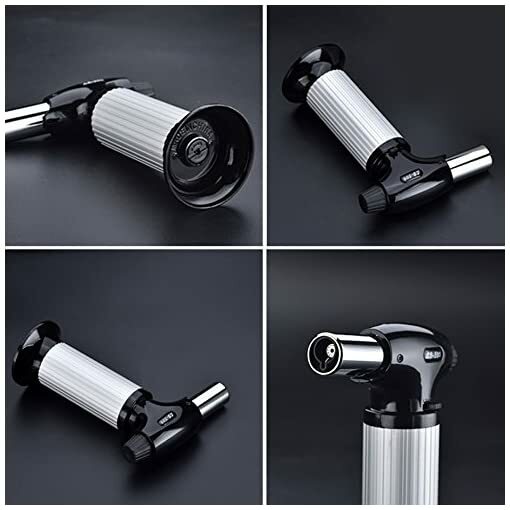 We believe in and stand by our ab wheel for quality, any problems feel free to contact us and we’ll offer help until you are satisfied. 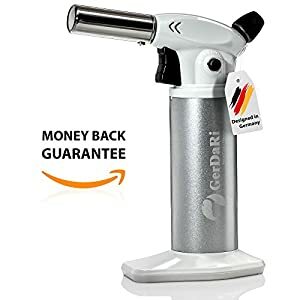 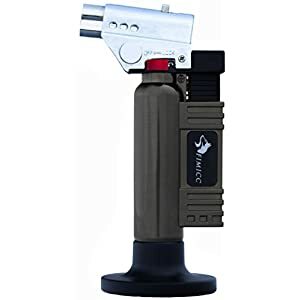 Security lock design prevents against accidental ignition and a wide base helps to prevent the culinary butane torch from tipping, made with Aluminum alloy body for long lasting use. 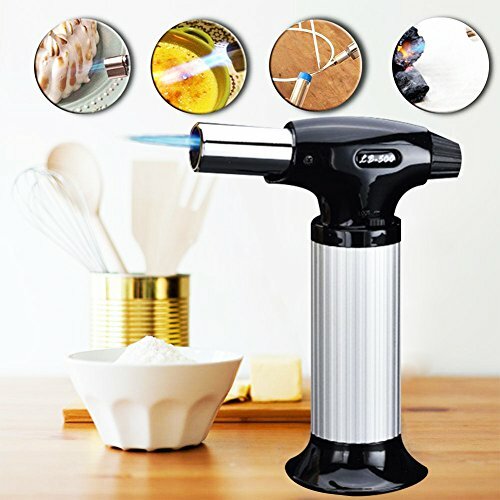 The butane culinary torch can be refilled when runs out and it fits most butane gas refill, adjustable flame intensity temperature can reach up to 1300 c/2500 F to meet various needs. 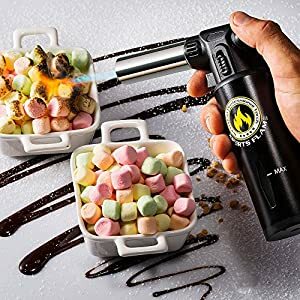 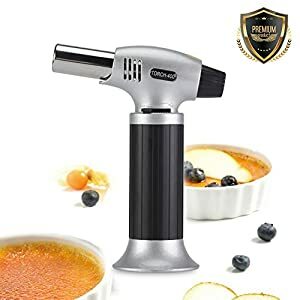 You can use this one in the kitchen: glazing sugar or fruit on top of a ham, browning the top of meringues and tarts, flash searing a piece of fish, toasting breadcrumbs, and torching wood to impart a smoky flavor to a dish or cocktail. 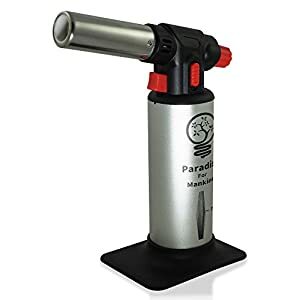 The piezo ignition fires up your sous vide torch instantly; adjustable flame and temperatures up to 2370 degrees; Refill easily using BUTANE GAS FOR LIGHTERS; Butane not included; lasts up to 60 minutes when full.